I'd like to say I'm a serious guy with a strong sense of discipline but the unfortunate truth is I like mischief and I can't stand staying put in one place for any length of time. The world is simply too big, it's definitely too funky and even though we're living in modern times with an expanse of media coverage there's certainly still a lot of adventure out there. I started travelling overseas when I was sixteen; I'd sneak over to Paris or go tenting on a shoestring budget to Marseille. Eighteen saw me disappearing over to India and Nepal where I promptly got cheated by cardsharks, harassed by shysters and endured the light fingers of professional pickpockets. But nevertheless times were still sweet! I got to dangle my toes in the Ganges, walk in the shadow of Mount Everest, clamber across rumbling glaciers and run screaming from tarantulas in the jungle. My early twenties delivered me to the Golden Triangle where I wriggled through constricting subterranean tunnels to emerge in crystal strewn caverns, crept through the tangled ruins of overgrown temples, fought in crowded stadiums and watched endless games of Tekraw. All of this and more was born from early years of reading. It was science fiction and fantasy books that fired my passion and filled me with the need to travel. 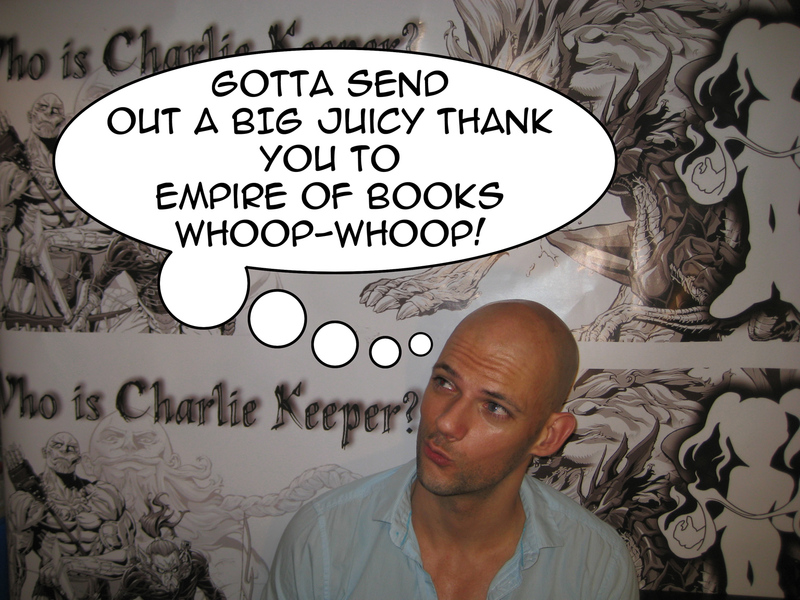 Reading about acrobatic heroes and enduring heroines was what filled me with the enthusiasm to jump into the sports of capoeira, parkour, gymnastics and snowboarding and ultimately they're what caused me to return home and put pen to paper to create the Keeper of the Realms series. Having had my imagination kicked into overdrive through past experiences I've tried to create the kind of fantasy world that I would give an arm and a leg to walk (hobble) through. I'd like to pass on my thanks to the books that I read as a kid in the hopes that Charlie Keeper and her adventures throughout Bellania leave you, in turn, with a glimmer of excitement and a desire for travel. Awesome stuff. Seriously need to read this bad boy! It's currently quite high up in the reading pile and cannot wait! Marcus also sent over this awesome pic saying thank you! Cheers dude! :D THANK YOU! 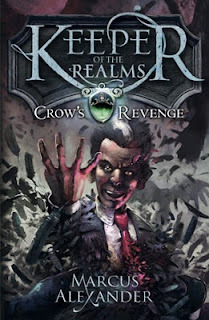 The Keeper of the Realms: Crow's Revenge is out today! hello, I am a fellow book blogger, And i do have a blog about books..( in my name) I was wondering if you would add my blog to your bloglist, and in return I will add your webiste to my blog list.